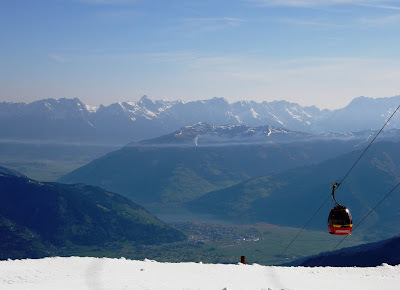 Austria holidays, Salzburg, Kaprun, Zell am See and so much more: 46 things to do in Spring, Summer & Autumn in Kaprun, Zell am See area. 46 things to do in Spring, Summer & Autumn in Kaprun, Zell am See area. 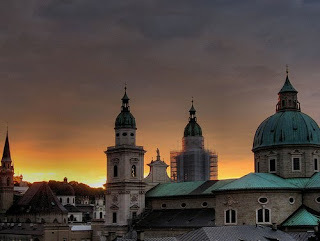 Salzburg a super City to explore and enjoy. A while ago we produced an article entitled "30 great reasons to visit and stay in Kaprun / Zell am See in the Salzburgerland area of Austria in the summer" a bit of a long winded the title! but the article got some interest and comments. Of course as time goes by, we have discovered that there were more and more things to do on your holiday. Scenery and views to inspire you. Climb a mountain, walk a ridge, mountain holidays give you natural highs! Fresh clean alpine air to breathe in. New restaurants and foods to discover with perhaps a glass of or beer? The sports centres, indoor pool, spas, Tauern Spa Kaprun is in an outstanding world of its own, with a smaller communal try the one at Zell am See. A trip to Salzburg a mix of history, culture and shopping. Sit in a mountain meadow, listening to the cow bells ringing. Drive the Grossglockner high alpine road go and see the glacier (motorbike, car or cycle! 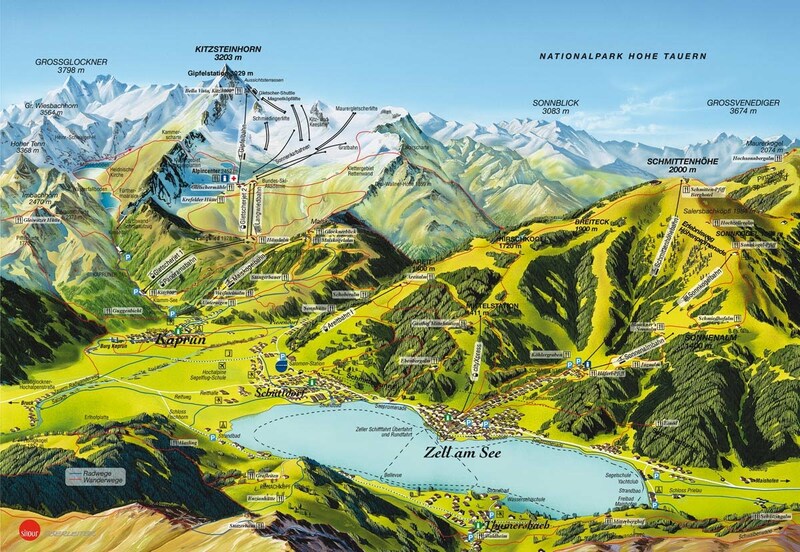 ), take the scheduled bus from Zell am See? 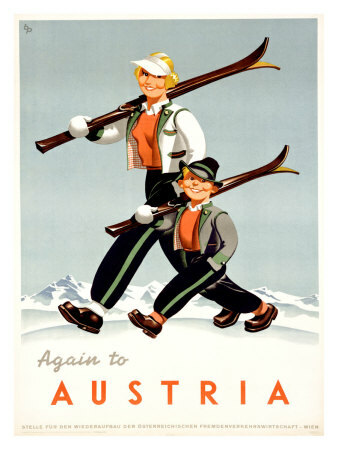 A trip to Innsbruck, to see the golden tiles, and soak up some history, sit by the river, take a mountain railway ride. Water sports galore, sailing, windsurfing, canoeing and wild water rafting. Adventure sports canyoning, rafting, climbing, mountain biking. Play at one of Austria’s golf clubs with two 18-hole golf courses in a spectacular location at Zell am See - Kaprun. Over 200 km route of the bike cycle route called the "Tauernradweg", hire an e ( electronic ) bike to take the strain. Over 700 km of well defined mountain bike routes some used in the mountain bike downhill World cup competition. See bikemap to check out the many the different routeing options. Over 25 km of bridle paths and tracks, for you to enjoy horse riding with a number of stables to choose from with two close to Kaprun castle. Over 40 different types of sports in the area for all the family to enjoy, Parascending is one such sport. 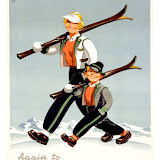 Sit on the summer snow beach and get a tan on the Kitzsteinhorn, borrow a sledge in your swimming costume! Kaprun burg / castle festivals. Visit a gorge, there are many, to visit and the Sigmund-Thun-Klamm is close to Kaprun, on the route up to the Kitzsteinhorn glacier. In summer they do a much acclaimed candlelit walks. Taxenbach canyoning, river rafting, climbing, mountaineering, paragliding, mountain biking and so many more adventure sports in and around Kaprun. A varied program of events for children and their parents. A game of crazy golf, or 36 holes on a championship golf course. A visit to Kaprun’s reservoirs, go on a sunny day to take in the views, prepare to be impressed with the engineering and scenery! walk inside the dam wall, see the glaciers. 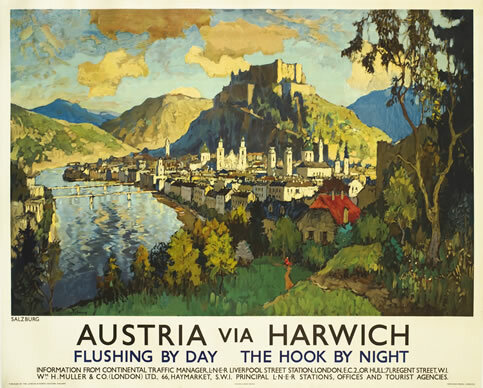 Railway trips Salzburg or Innsbruck check out ORB for railway tickets, sometimes cheaper at quieter times after 09.00 or at weekends..
Visit Krimmel waterfalls perhaps taking you cycles on the train, and cycling back down the valley what a day to remember. A great 30 minute walk up from the bottom to a half way restaurant, mind the spray! Go on the Salzburg Sound of Music tour, better than you would think? An alpine drive over the Alps on the Grobglockner a road only open May to October! Alpine wellness, spas, relaxation a time to chill, two!! 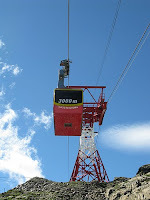 in the Gastein valley, also Tauern Spa Kaprun free admission on your birthday, take proof of age. Visit a Salzburg Salt mine, ride a railway and mega slide underground! Castles to visit, including Werfen castle with the display of birds of prey and falconry displays. Visit a the superb ice cave above Werfen castle only discovered just over 100 years ago. A 7 mile walk around the lake at Zell, places to stop and rest, unwind and relax. Sit and have a coffee at the Grand Hotel and take in the views and ambience. Keep up to date with Kaprun and Zell am See on Twitter? 46. 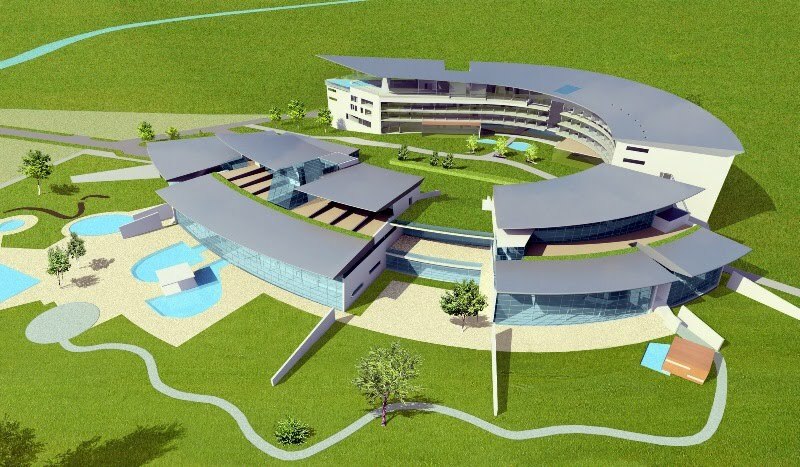 A brand new new spa / wellness complex, called Tauern Spa World Kaprun has now opened its doors, it promises to be an all year round attraction and at a 90 million Euro investment it is something very special!! worth coming back to the area to visit, and to see what is new? A separate list is required for the a similar list of things to do in the winter watch this space. Some places have variation of opening times depending upon the time of year and weather conditions, you are advised to check out in advance of your trip. View of Salzburg complete with castle from a LNER holiday poster from the 1920 or 30's? Looking for somewhere to stay in Kaprun ? then please have a look at Austrian-holiday-Apartment-Kaprun it sleeps from 3-9 guests in comfort, and has the benefit of 3 bedrooms and 3 bath / shower rooms. I like your list a lot. All 38 things are great. I like your content. whenever i go to Kaprun i will keep in mind your all points. Thanks for giving us this nice information. Thanks for sharing mind blowing tips and really amazing picture.. on your blog.. I like it.. dear..
WOW, those pictures are jaw dropping!! Thanks for the great list of things to do. I'm definitley going to Austria next summer! You've convinced me. Kaprun looks amazing. Great list for a good traveler! I have never been to Austria but your blog says it all, one should put it in his list! Its in mine already!